Jolee and Makayla share a story during Paws to Read at the Headlands Branch. 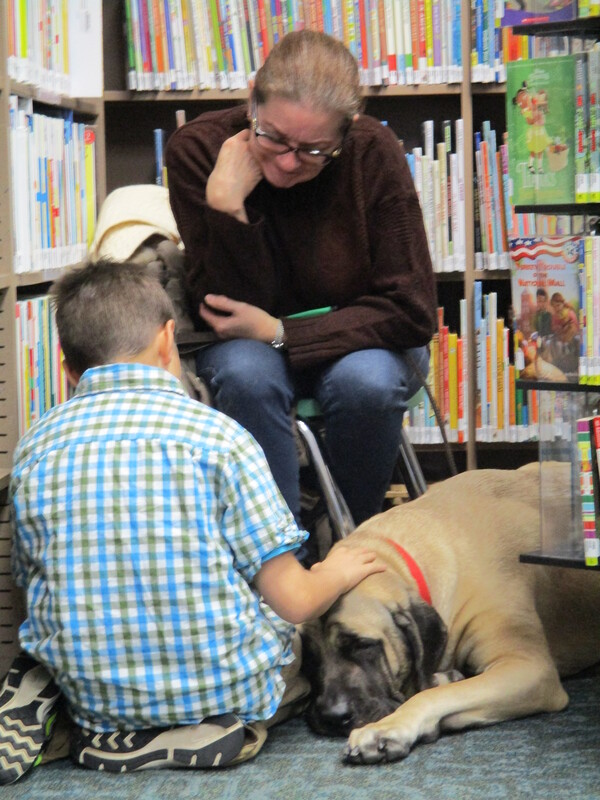 The pups from our Paws to Read program visited our Headlands Branch this Saturday. 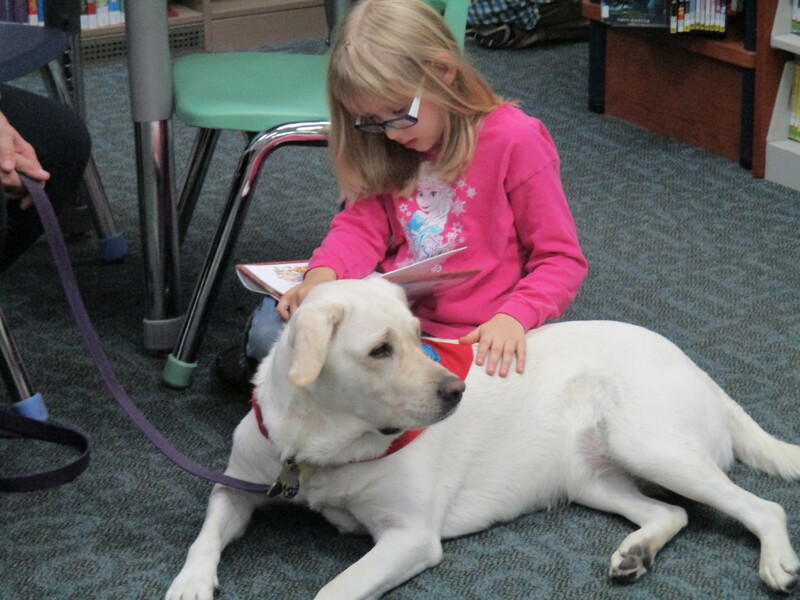 Avery reads to Miss Marlee during Paws to Read. Paws to Read will be on hiatus during December, but it will be back in January.